In our system, we train weaponless self-defense, but also weapon fighting with traditional weapons as well as everyday items that we use as a weapon. 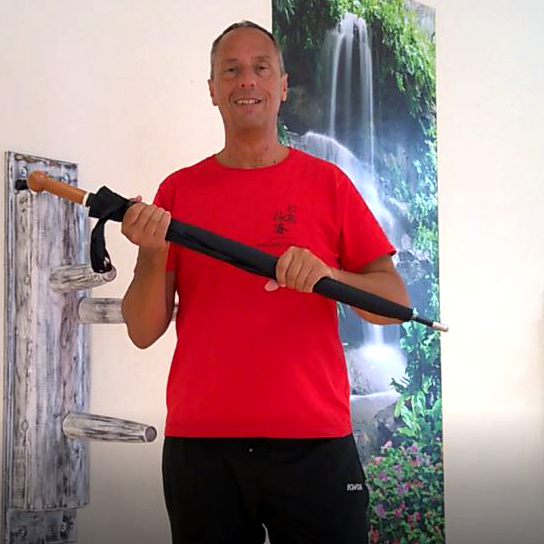 This Securiy Umbrella is very similar to our short pole and it is easily integrated in our SNAKE CRANE WING CHUN system. In my opinion, the Security Umbrella is the best “everyday weapon” that I have yet seen. It is ideal for long and short distances as a poke AND hitting weapon. The hook handle can also be used as a hook weapon. During my own testing, I was most impressed by the robustness of this umbrella. Even though we gave it a ruthless beating, we were still able to say it looked “like new”. I congratulate Mr Spannbauer and his team.